Enter the competition to win a 5 night stay for 8 people in Atlantis The Palm, Dubai! 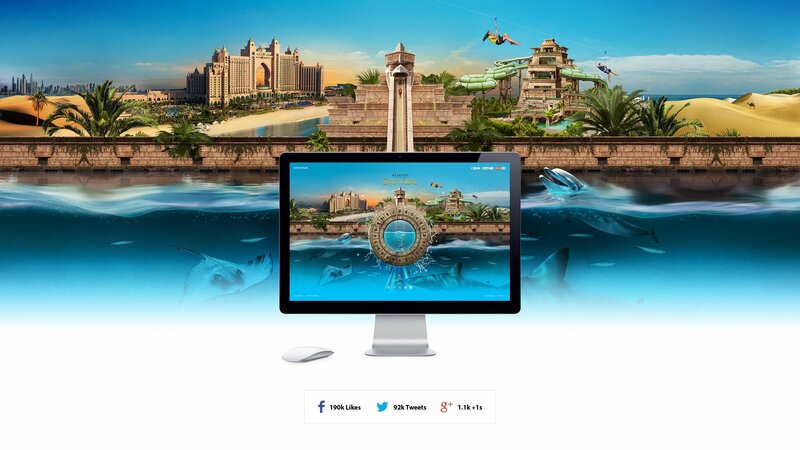 The goal of this website was to promote the new water park. The more times you “fill the tank”, the more times you will be entered into the draw for the main prize. You have to earn spins to play and that can be done in a number of says such as answering questions about the resort, connecting your Facebook profile, tweeting the #AtlantisSpinToWin hashtag and more. I’m available for freelance/remote work. Feel free to contact me if you would like to work with me, I guarantee you won’t regret it!